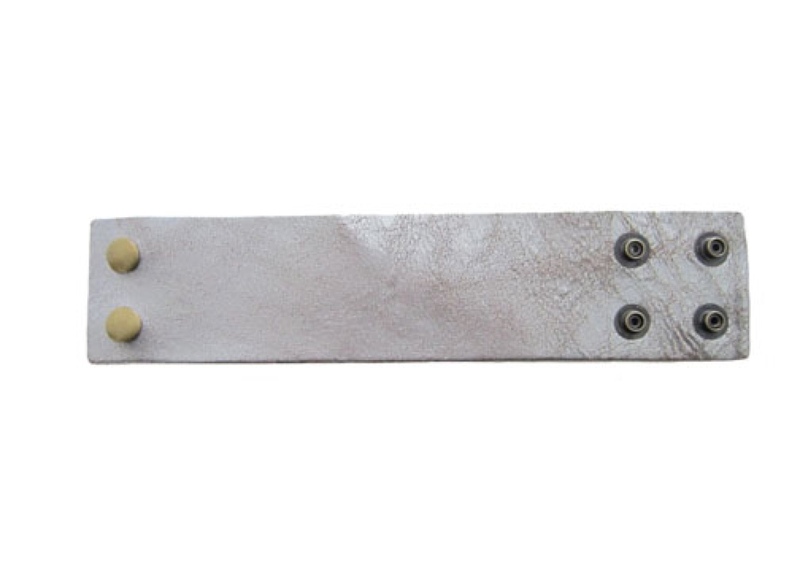 We are now selling a fine selection of leather bracelets. 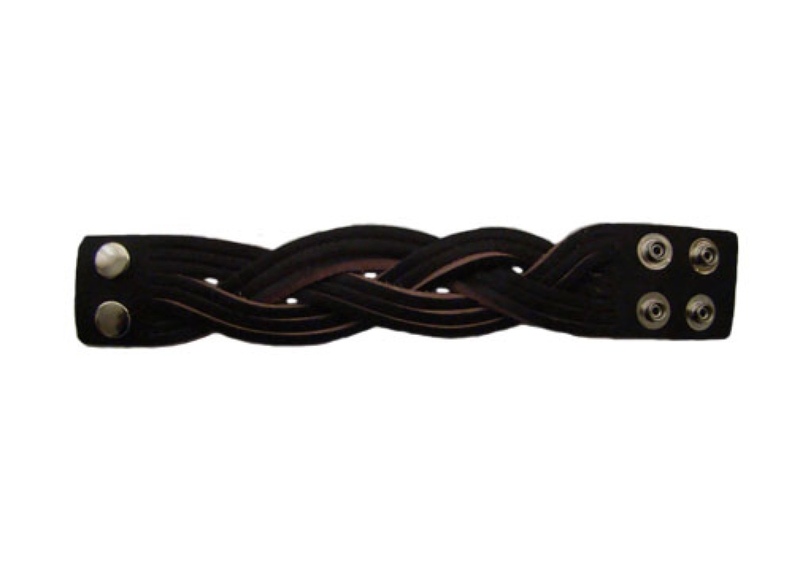 All of the following bracelets are out of REAL LEATHER AND MADE IN USA by Christian Oliver Leather Belts in Los Angeles, California. 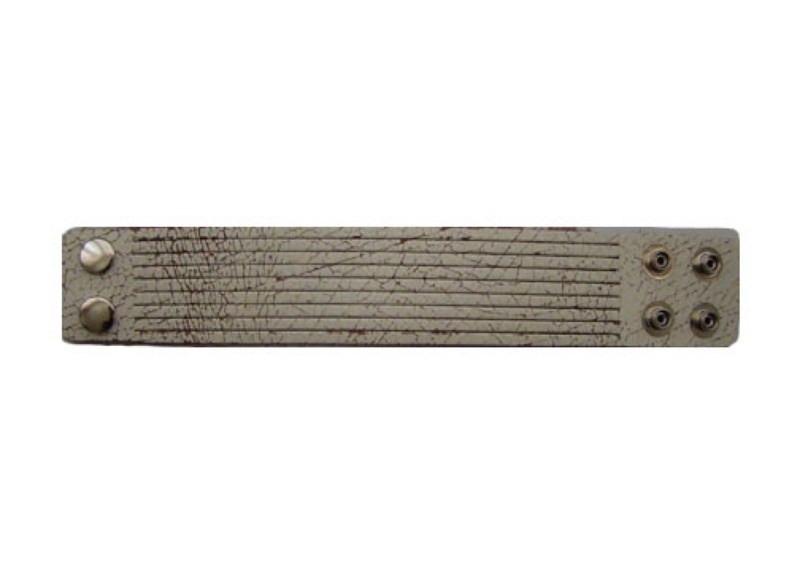 They are approximately 0.15" thick and include easy to use snaps for comfortability and fitting. 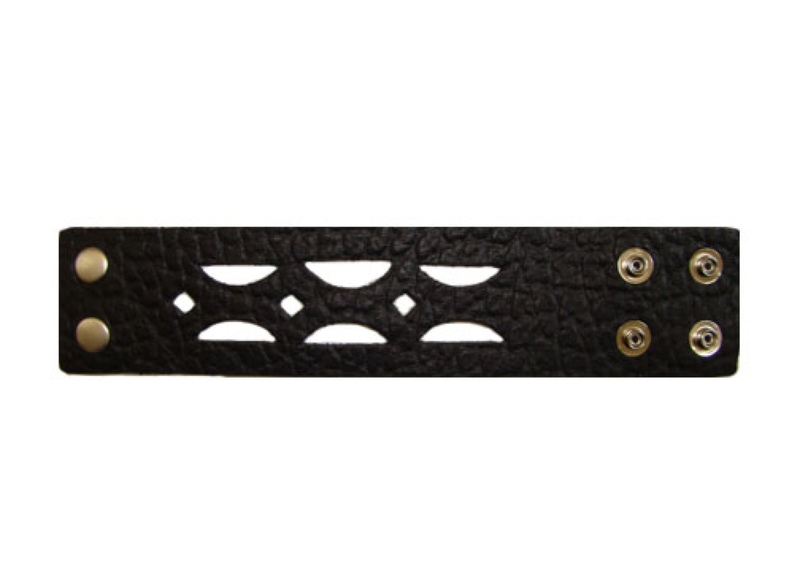 You can customize by selecting available width and length - all exclusively sold on our website and at our store location. 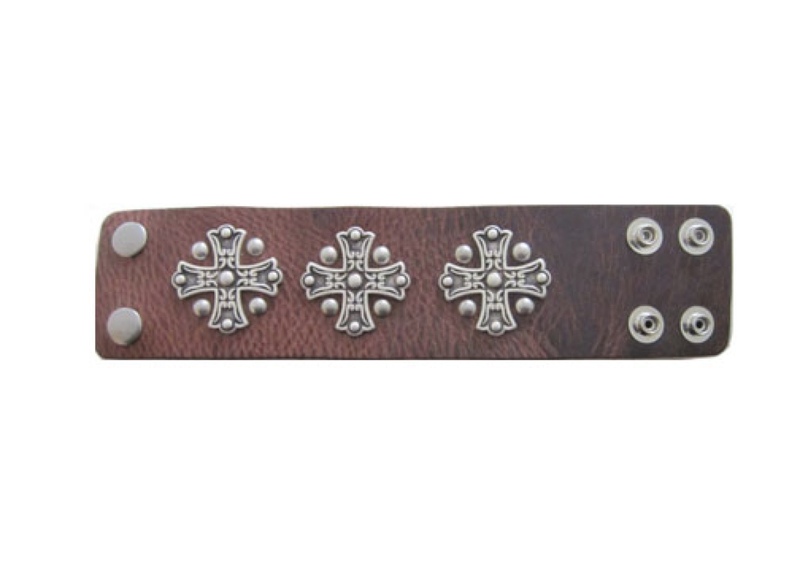 Be sure to pick one up to go with your leather belt(s) and buckle(s)! 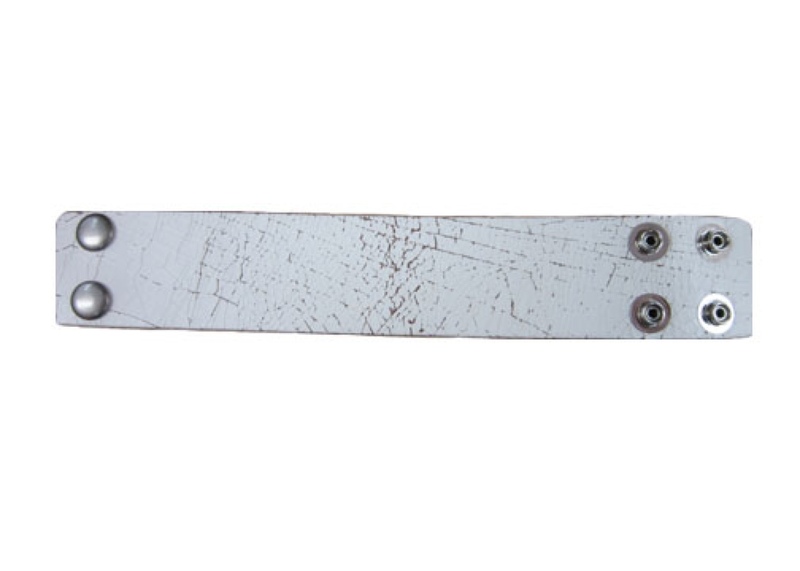 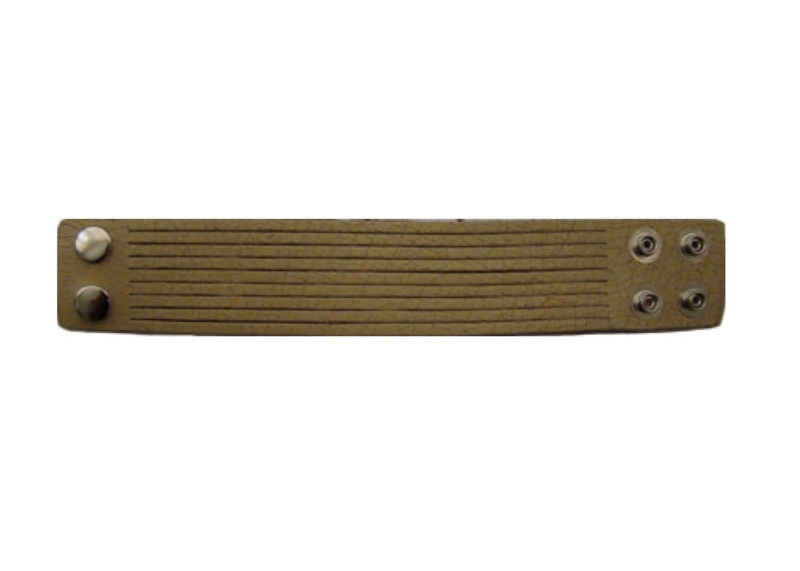 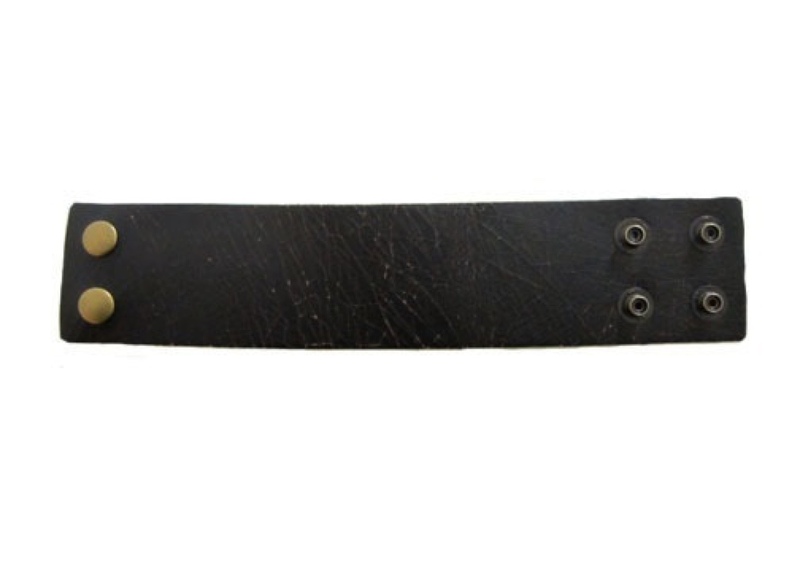 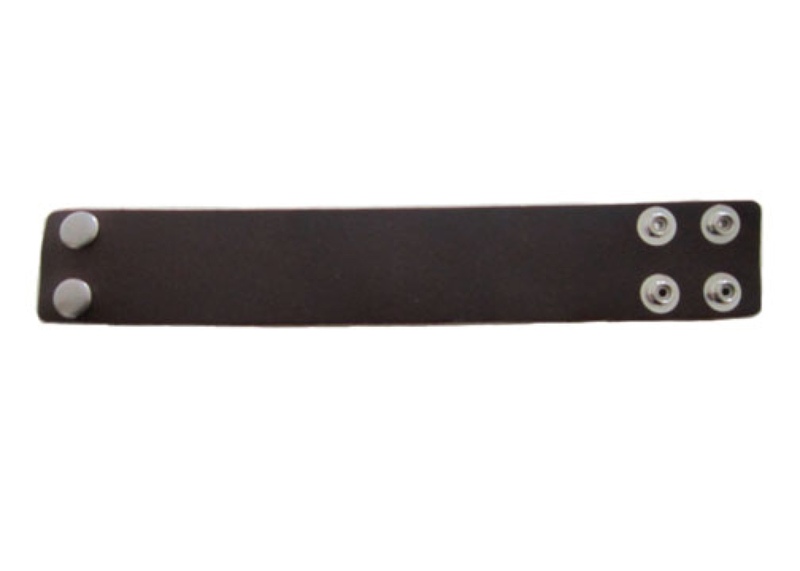 This genuine leather belt does not split, crack, peel, or crumble. It will last for many years. Made from one solid piece of firm yet flexible leather. 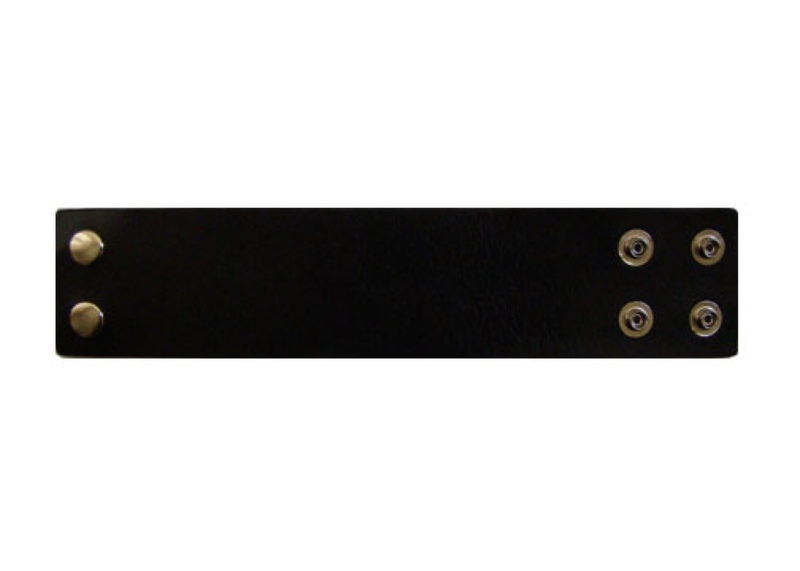 Weight: 0.8 - 1.3 oz. 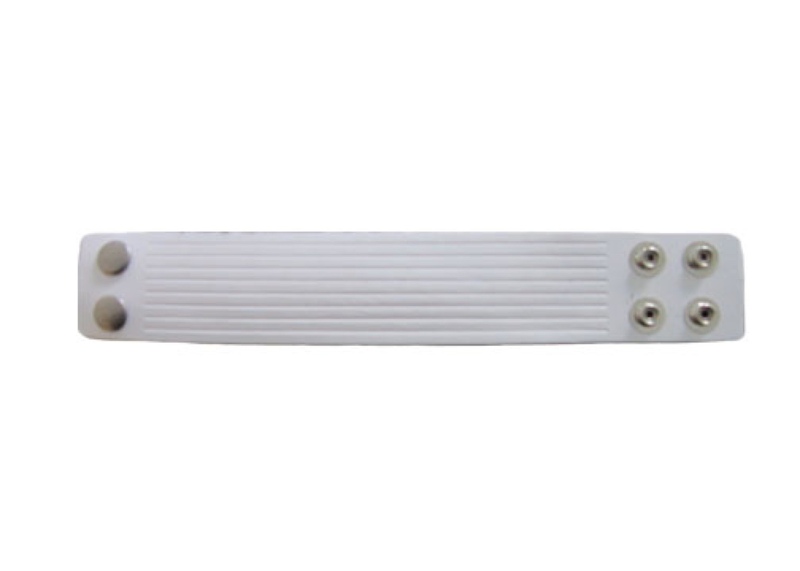 Includes chrome snaps for secure and fit. 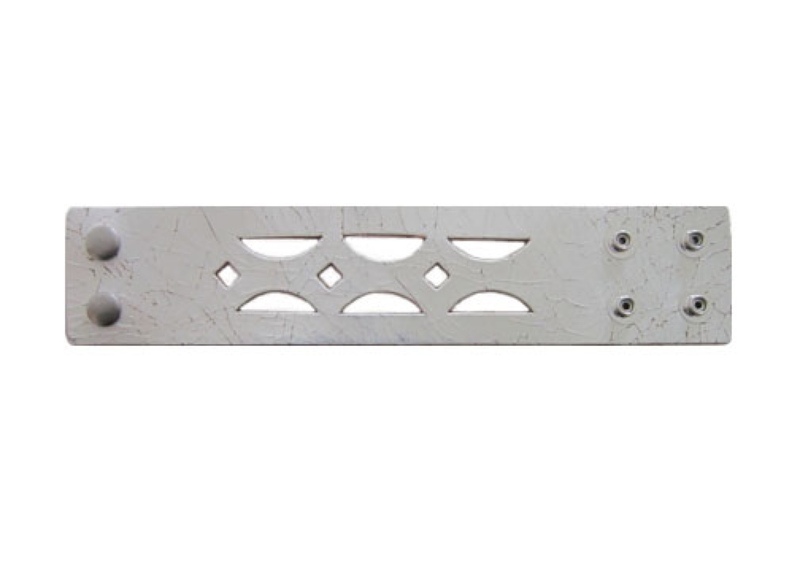 Size (W x L): 1.5" x 8"1.5" x 8.25"1.5" x 9"1.5" x 9.5"2" x 8.75"2" x 9.25"
Weight: 0.8 - 1.4 oz. 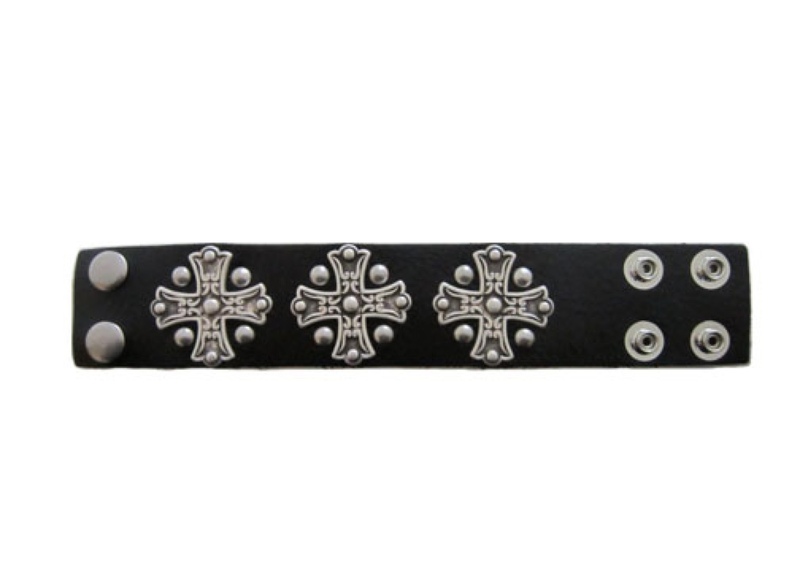 Size (W x L) 2" x 9"
Size (W x L): 2"x 9"
Includes black snaps for secure and fit. 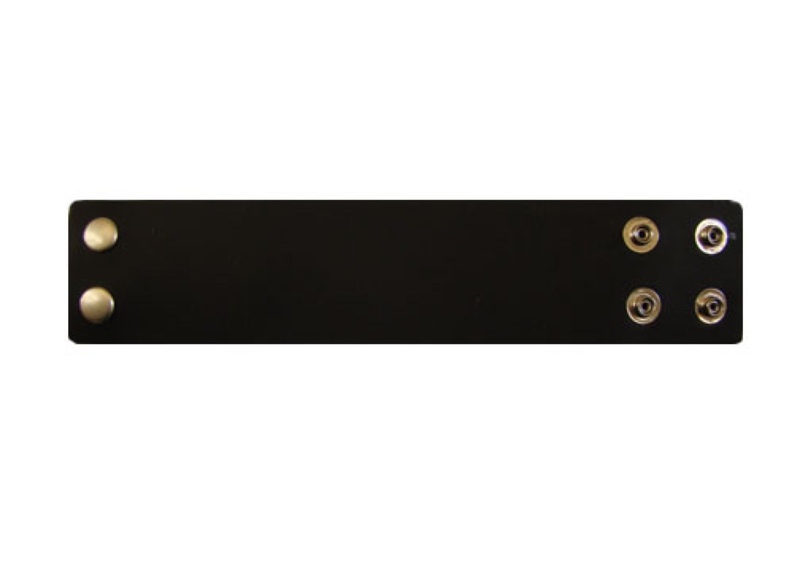 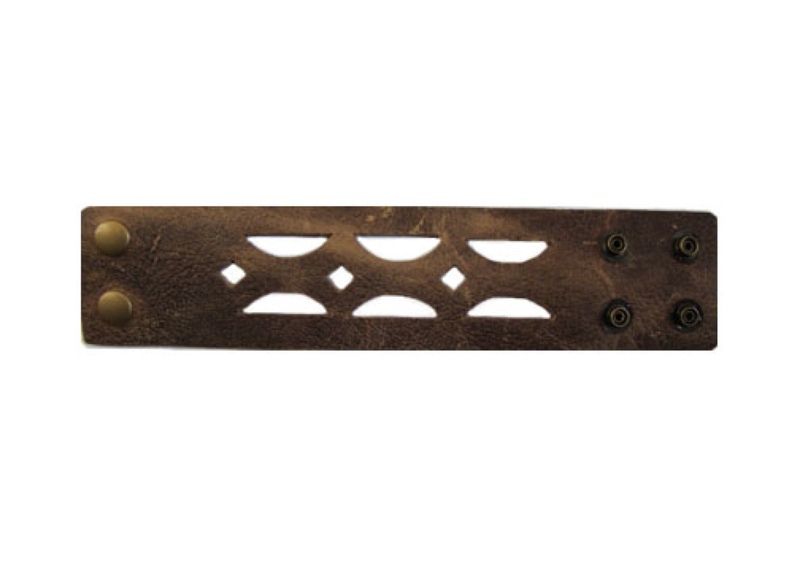 Size (W x L): 1.5" x 9"2" x 9"
Size (W x L): 1.5" x 9"
Includes antique brass snaps for secure and fit. 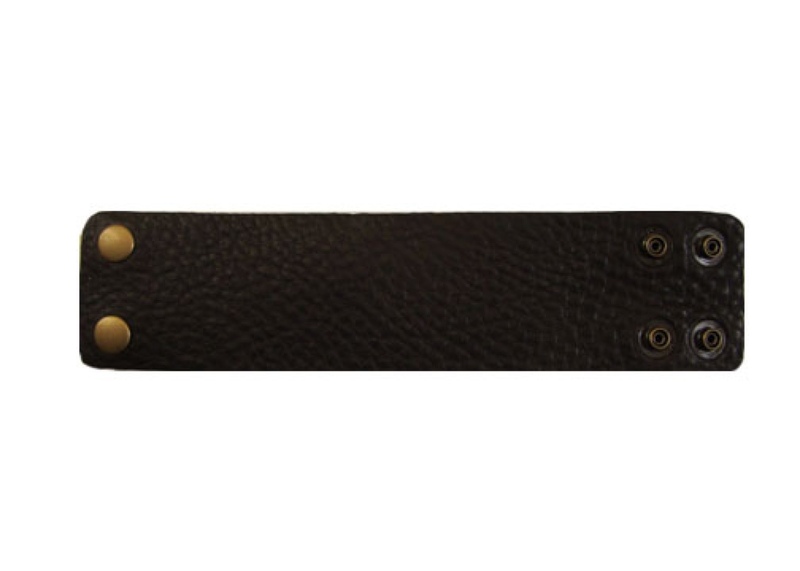 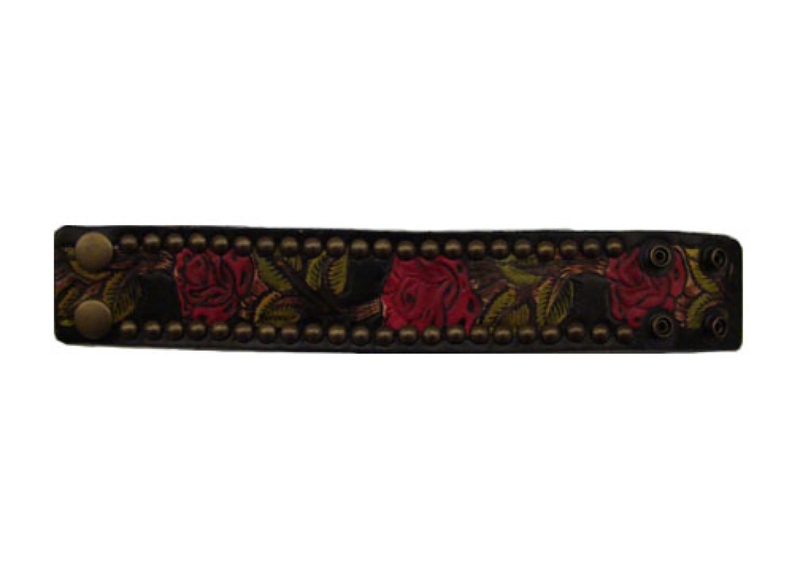 Size (W x L): 2" x 9"
Gold-painted leather with floral cross and stud design running full length of bracelet; includes antique brass snaps for secure and fit. 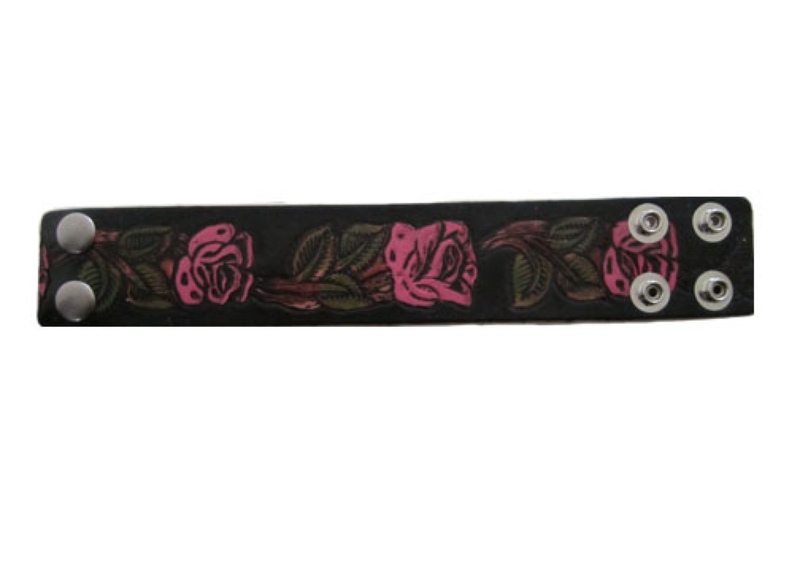 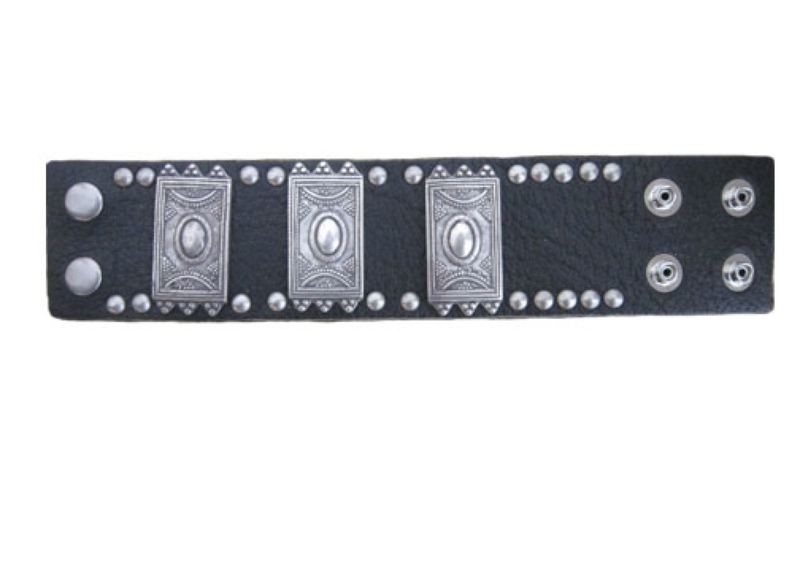 Black leather with hand-painted, floral embossed running full length of bracelet. 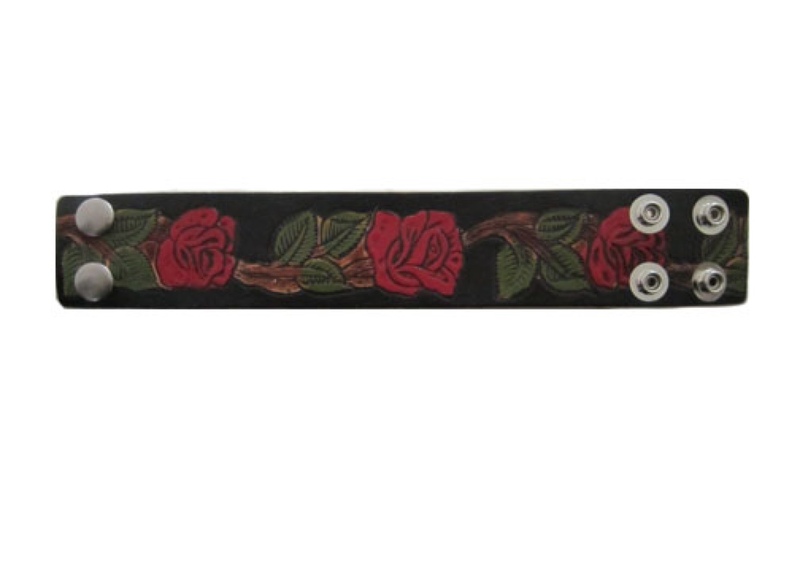 Black leather with hand-painted, floral embossed and antique gold studs running full length of bracelet. 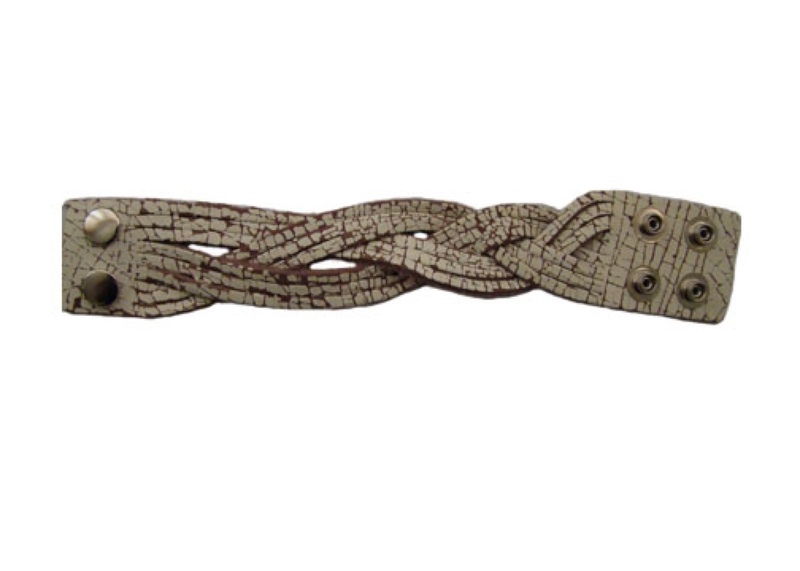 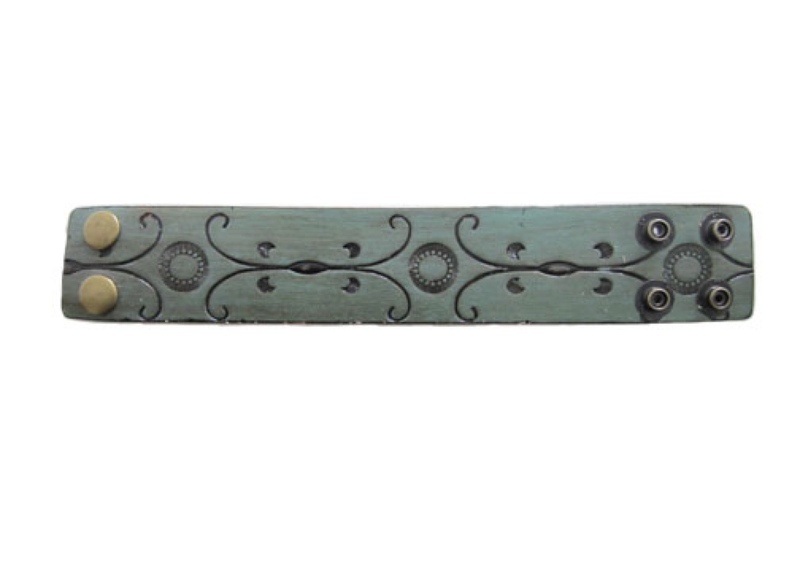 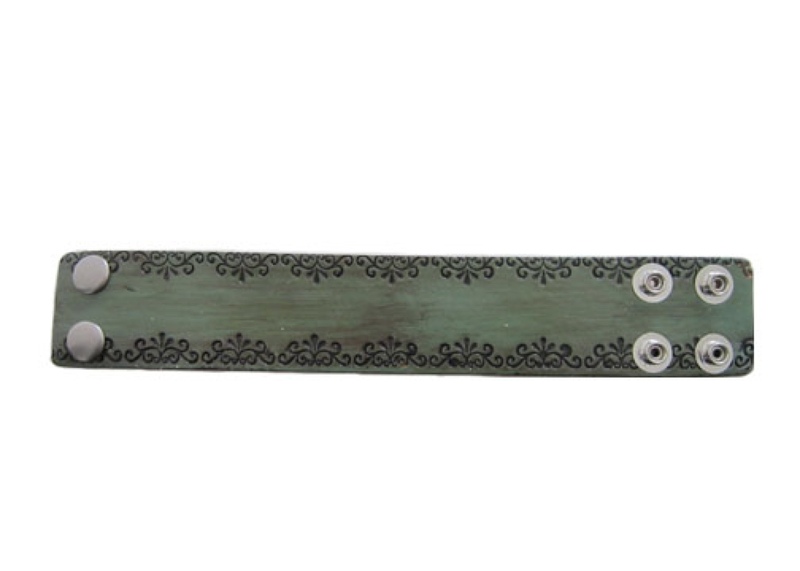 Hand-painted green-brown leather with embossed design running full length of bracelet. 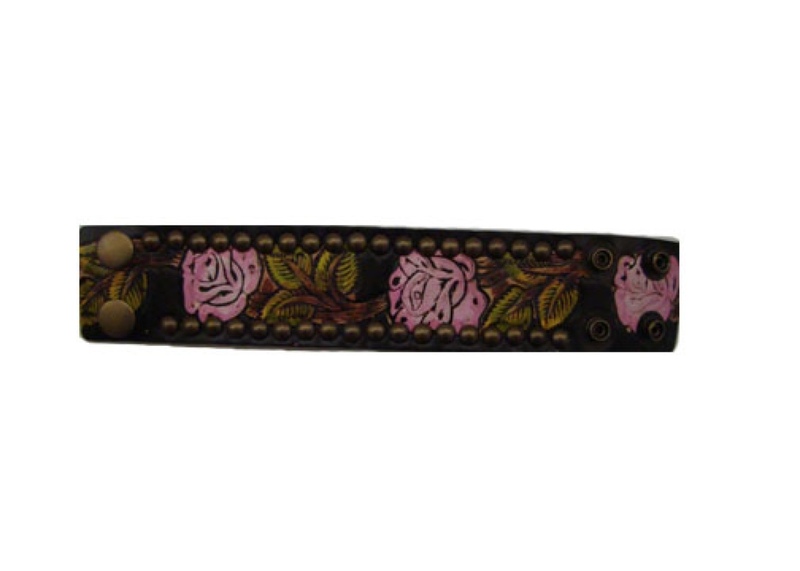 Hand-painted green-brown leather with floral vector design running full length of bracelet. 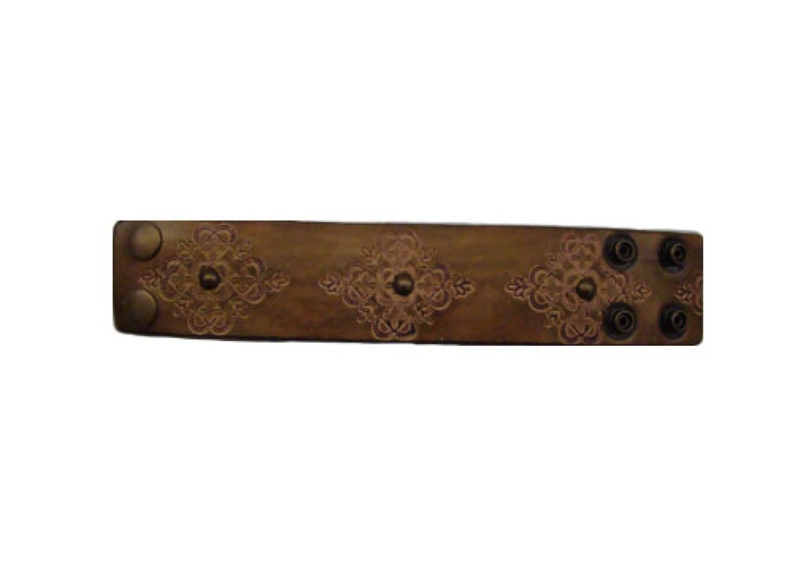 Includes brass snaps for secure and fit. 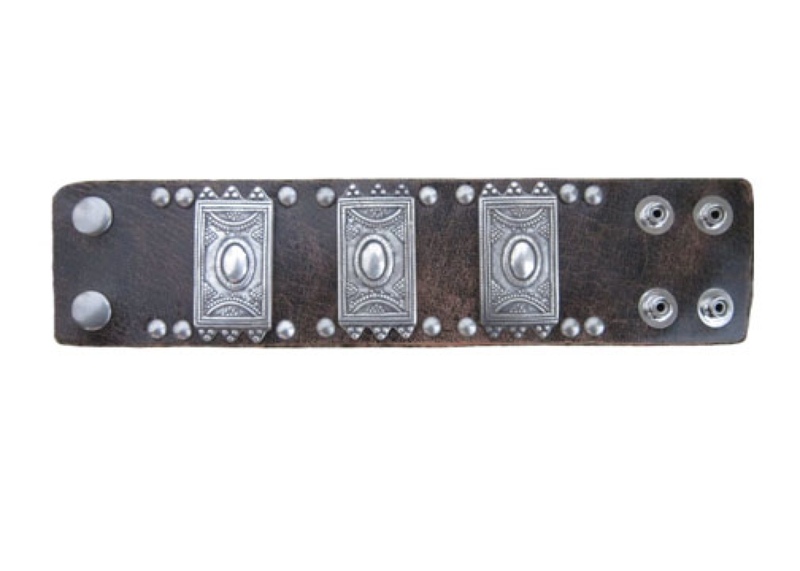 Vintage Brown leather with studs along edge with three rectangle design ornaments throughout length of bracelet. 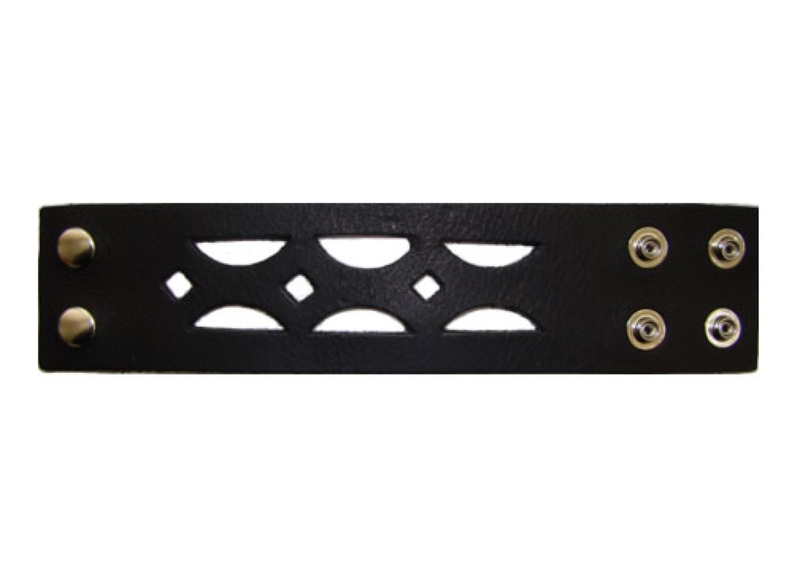 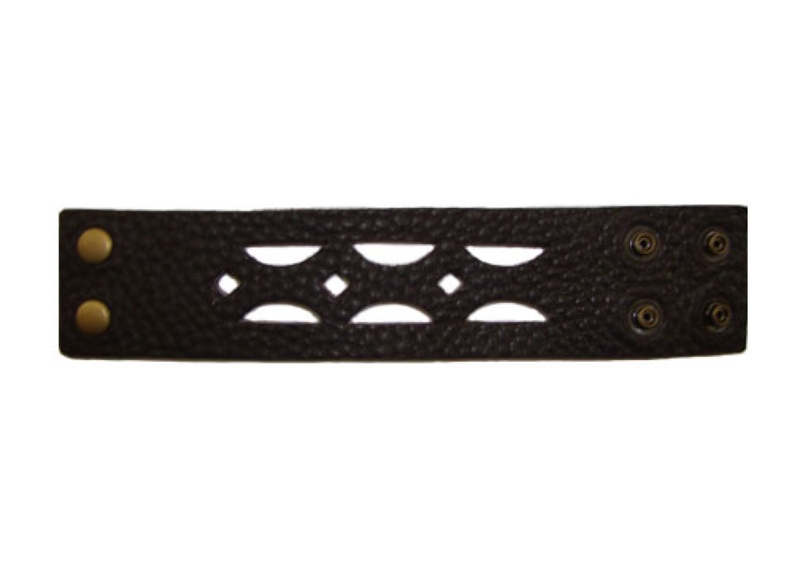 Size (W x L): 2" x 8.75"2" x 9.25"
Soft black leather with studs along edge with three rectangle design ornaments throughout length of bracelet.